Potholes are an inevitability of driving, especially in areas that experience significant temperature fluctuations throughout the year. Toronto, a city which experiences extreme temperatures throughout the year, repairs an average of 200,000 potholes every year. Even temperate Vancouver on the west coast repairs over 30,000 every year. Generally, new potholes show up during Spring, however, it is not uncommon for them to make their presence felt in late winter – especially in temperate Victoria. 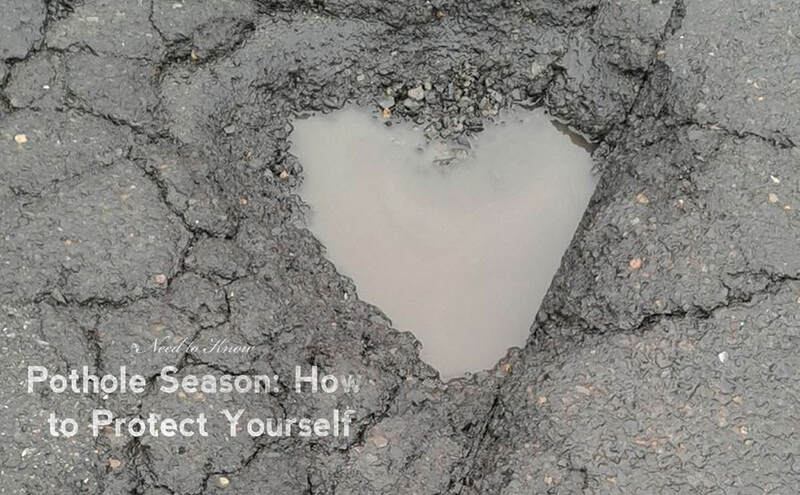 Although potholes are impossible to avoid, here are a few tips that should help you and your car make it through the next ‘pothole season’ unscathed. Pay attention. New potholes can appear quickly and without warning, especially after a period of rain or a short freeze/thaw cycle (which us Victoria residents frequently experience). Make sure to obey the posted speed limit and keep enough distance between yourself and other motorists so you can spot and avoid potholes. Maintain optimal tire pressure. Your tires should tell you their ideal PSI (pound per square inch). Keeping your tires at this recommended level will help cushion the impact of an unavoidable pothole, as well as improving your vehicle’s grip if the person in front of you swerves. Avoid aggressive swerving. If the driver in front of or next to us swerved erratically to avoid a pothole, we probably wouldn’t appreciate it. We should always drive in a smooth and predictable manner. Sudden movement can startle other drivers and could cause loss of control. Maintain control of your vehicle at all times. Don’t slam on the brakes. If hitting a pothole is inevitable, avoid stomping on the brakes. Aggressive braking will shift the weight of your vehicle forward into the pothole, which will increase the likelihood and severity of damage. Every now and then, there is nothing you can do and you hit a doozy. How can you tell if your vehicle is damaged? Wheel alignment damage. If you notice your steering pulling to the left or right, you may have damaged your wheel alignment. Alignment is important for proper handling. Suspension damage. Your suspension may have been damaged if your vehicle sways side to side, especially during cornering, or is bottoming out/bouncing. Suspension damage could refer to many different parts of your car, from struts, ball joints and shocks, to the steering rack, bearings, seals, and tie rods. Wheel or Tire damage. Examine your wheels and tires, looking for cuts or bulges in the rubber or bends and cracks in the rims. This type of damage may not appear too significant, but could potentially cause blowouts at higher speeds. After encountering a nasty pothole, pull over and perform a brief visual inspection of your vehicle as soon as it is safe to do so. If you can see damage, or simply notice that your car is behaving strangely while you drive, give us a call and we can help.